It appears the Bears’ Cameron Meredith is heading to New Orleans. According to multiple reports, the Chicago Bears have decided not to match the two-year, approximately $10 million offer sheet the Saints made to the restricted free-agent wide receiver. Sources told both the NFL Network’s Ian Rapaport and ESPN’s Adam Schefter that Bears general manager Ryan Pace and coach Matt Nagy met with Meredith to inform him of the decision. Meredith tore the ACL in his left knee in the third preseason game last year and missed the 2017 season. 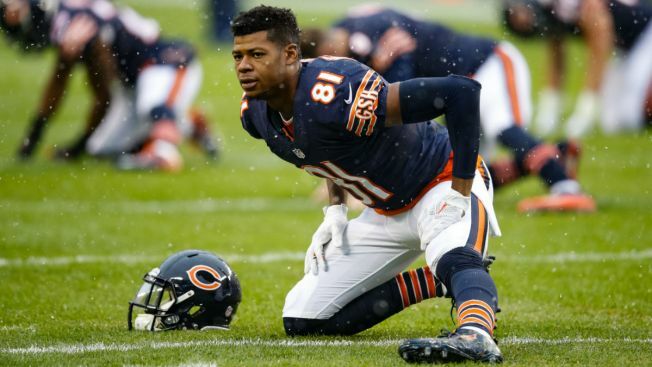 The Bears had signed him to an original-round tender this offseason. In 2016, Meredith was the Bears' leading pass catcher with 66 receptions for 888 yards and four touchdowns. Had they kept him, he would have been the second free agent whose offer sheet they matched this offseason, joining cornerback Kyle Fuller.